I have recently mentioned that I got a new hairdryer, the Tresemme 2200 Diffuser, at Christmas and I fell in love with it after the first use. It has been a month and a half now and I want to give a full, detailed review of the hairdryer and all of it's functions. As I have fine, thin, but wavy hair it can be super hard for me to achieve volume of any sorts in it and it tends to just hang in a way if I don't style it, this hairdryer has completely changed my hair game for life! I can use the two different heads to create different looks and use the volume settings to add just the right amount of heat. As you can see in the photo above, the diffuser is massive, for someone with naturally curly hair this beauty could be amazing for creating a tighter, perm-like look. 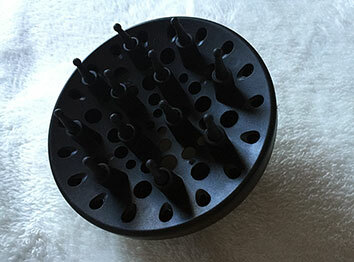 With my wavy hair I use the diffuser to create volume and enhance my 'bed head' look. Of course it does need a little brush and taming directly after. When using this I add a little mousse into my hair, flip my head over and dry the hair from the ends up, not touching my roots at all. This technique enhances the bed head look and when fully dried my hair looks 10x thicker than it truly is. It feels bigger, it looks bigger and I do get comments on how much more volumous my hair looks. I add a little of Regis' Root Boost (review on this beauty coming up) to my roots and leave them to dry naturally. Every hairdryer has one of these little guys on them and in my personal opinion no one ever knows it's proper name? 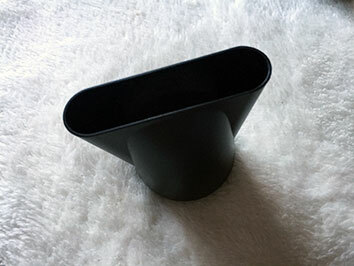 It is called an air concentrator apparently and I only know because I Googled it, yes I am that sad. Anyway I like to use this little guy if I can't be bothered with the diffuser or if I am going for a more sleek, straight look. I either flip my head over and blowdry from the ends up to still create a little volume, or I separate my hair into sections and with a hairbrush brush and dry each section with precision and on a nice even heat. 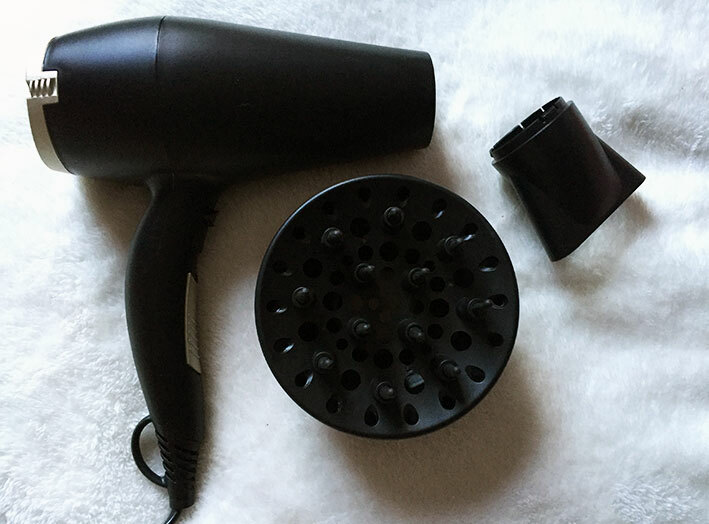 This creates a sleeker look and finish and is perfect for if you don't want to use too much heat and straighten your hair directly after blowdrying. All together there are 4 different heats to this hairdryer. 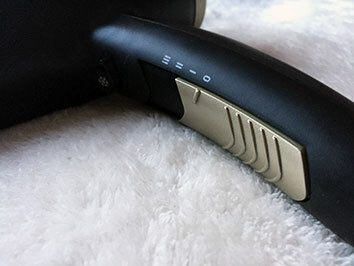 Three on settings to choose between on the handle and one button for blowing cool air out of the dryer. I prefer to use the second setting as it isn't too warm I can smell my hair burning nor too cool my hair doesn't dry. I have used both other heat settings and I tend to find that the higher the volume when using the diffuser the more volume you have. I definitely recommend that you only use setting three with a heat protection spray. The cool setting I like to go a quick all over spray using this temperature after my hair is dry as I have read it adds shine? Honestly I'm not too sure about that if I am honest. Do you like the look of this hairdryer? What's your favourite hairdryer?